19/12/2018 The Old Duke, Bristol. 17/11/2018 The Crown Inn, Pilton. 10/11/2018 Under The Edge Arts, Chipping Hall, Wotton-under-Edge. 25/10/2018 The Old Duke, Bristol. 13/10/2018 The Tithe Barn, Nailsea. 28/07/2018 Royal Oak Street Party, Clevedon. 18/07/2018 The Old Duke, Bristol. 07/07/2018 The Culm Valley Inn, Devon. 02/06/2018 The Star Inn, Wotton-under-Edge. 12/05/2018 The Barton Inn, Barton Saint David, Somerset. 31/03/2018 The Prince Albert, Stroud. 28/03/2018 The Old Duke, Bristol. 03/02/2018 The Kingsdown Vaults, Bristol. 27/01/2018 Winterfest at The Salthouse, Clevedon. 09/12/2017 The Old Bookshop, Bristol. 25/11/2017 The Prince Albert, Stroud. 25/10/2017 The Old Duke, Bristol. 29/07/2017 The Star Inn, Wotton-under-Edge. 21/07/2017 The Culm Valley Inn, Devon. 19/07/2017 The Old Duke, Bristol. 13/05/2017 The Old Bookshop, Bristol. 13/04/2017 The Old Duke, Bristol. 17/12/2016 The Old Bookshop, Bristol. 03/12/2016 Under The Edge Arts, Chipping Hall, Wotton-under-Edge. 04/11/2016 The Old Firehouse, Exeter. 22/10/2016 The Barge Inn, Honeystreet, Pewsey, Wiltshire. 06/08/2016 The Old Duke, Bristol. 22/07/2016 The Bridge Inn, Devizes. Poster. 21/07/2016 The Old Inn, Clevedon. Poster. 10/06/2016 The Star Inn, Wotton-under-Edge. Poster. 05/06/2016 The Three Horseshoes, Bradford-on-Avon… (15:00) Poster. 27/05/2016 The Oxford, Totterdown, Bristol. Poster. 16/04/2016 The Old Bookshop, Bristol. 15/04/2016 The Old Firehouse, Exeter. 26/03/2016 The Bruton Castle, Bruton. 30/01/2016 Winterfest @ The Old Inn, Clevedon. 27/12/2015 The Beehive – EXTRA SHOW, Swindon. 05/12/2015 The Prince Albert, Stroud. 28/11/2015 Under The Edge Arts, Chipping Hall, Wotton-under-Edge. 06/11/2015 The Old Firehouse, Exeter. 17/10/2015 The Square & Compass, Worth Matravers, Swanage, Dorset. 03/09/2015 The Old Inn, Clevedon. 29/07/2015 The Square Club, Bristol. 23/07/2015 The Old Inn, Clevedon. 06/06/2015 The Barge Inn, Honeystreet, Pewsey, Wiltshire. 29/05/2015 The Old Bookshop, Bristol. 08/05/2015 The Old Firehouse, Exeter. 25/04/2015 The Cellar, Caldicot, Monmouthshire. 24/04/2015 The Shakespeare, Totterdown, Bristol. 05/04/2015 The Prince Albert, Stroud. 20/03/2015 The Old Firehouse, Exeter. 04/12/2014 The Old Inn, Clevedon. 29/11/2014 The Shakespeare, Totterdown, Bristol. 21/11/2014 Crown & Sceptre, Stroud. 14/11/2014 The Blue Lagoon, Bristol. 01/11/2014 Portishead Working Mens Club, Portishead. 28/09/2014 The Three Horseshoes, Bradford-on-Avon. 27/09/2014 The Bear Inn, Weston Super Vegas. 13/09/2014 The Barge Inn, Honeystreet, Pewsey, Wiltshire. 24/07/2014 The Old Inn, Clevedon. 25/05/2014 The Three Horseshoes, Bradford-on-Avon. 17/04/2014 The Old Inn, Clevedon. 12/04/2014 The Shakespeare, Totterdown, Bristol. 15/03/2014 Portishead Working Mens Club, Portishead. 01/03/2014 The Bear Inn, Weston Super Vegas. 01/02/2014 Winterfest @ Princes Theatre, Clevedon Community Centre. 25/01/2014 The Wunderbar, Midsomer Norton. 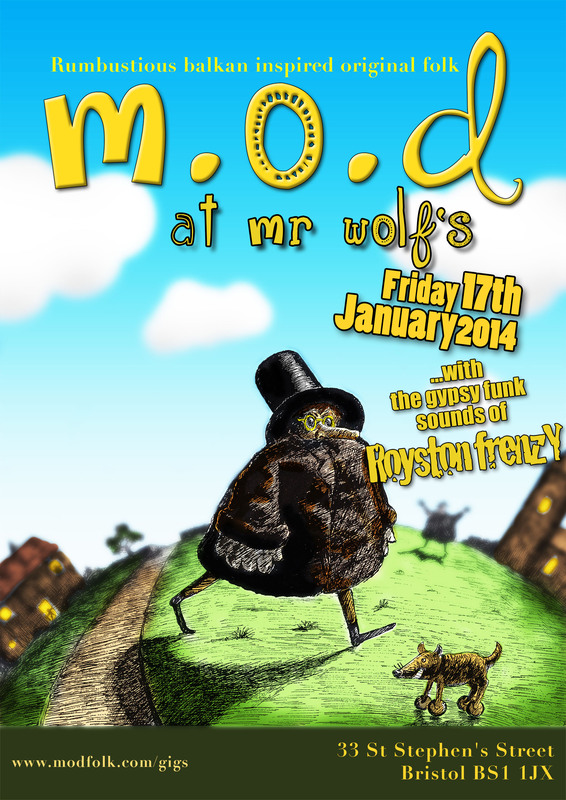 17/01/2014 Mr Wolf’s, Bristol. Poster. 30/11/2013 Under The Edge Arts, Chipping Hall, Wotton-under-Edge. 29/11/2013 The Full Moon, Cardiff. 16/11/2013 The Barge Inn, Honeystreet, Pewsey, Wiltshire. 14/11/2013 The Wunderbar, Midsomer Norton. 19/10/2013 The Prince Albert, Stroud. 28/09/2013 Portishead Working Mens Club, Portishead. 14/09/2013 Clevedon Free Festival, Little Harp Stage, Clevedon. 03/08/2013 The Shakespeare, Totterdown, Bristol. 01/08/2013 The Old Inn, Clevedon. 31/05/2013 The Full Moon, Cardiff. 25/05/2013 Lakeside Cafe & Bar, Tewkesbury. 30/03/2013 Campbell’s Landing, Clevedon. with Poor Old Dogs. ! 16/03/2013 The Shakespeare, Totterdown, Bristol. 26/01/2013 Winterfest @ Campbells Landing, Clevedon. 19/01/2013 Portishead Working Mens Club, Portishead. 15/12/2012 The Star Inn, Pill. Also a Christmas flavoured gig, no doubt. 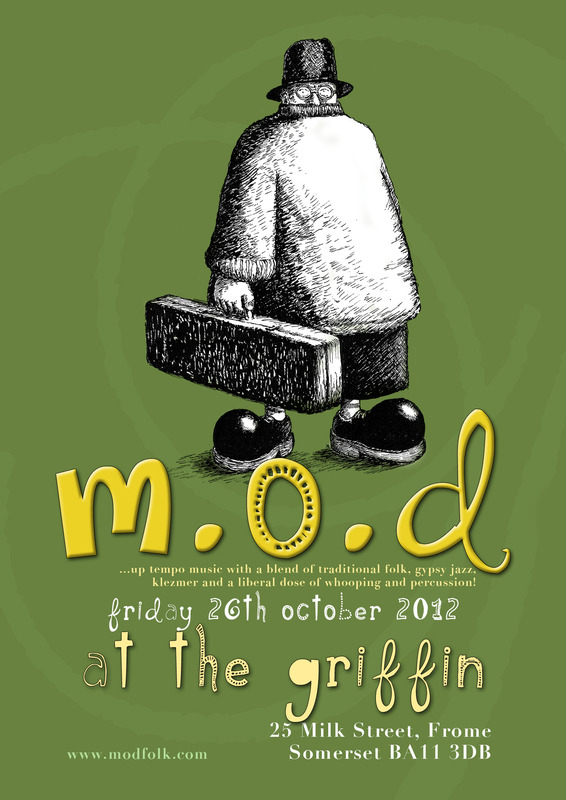 26/10/2012 The Griffin, Frome. Poster. 11/08/2012 The Golden Lion, Bristol (9pm start). Poster. 14/07/2012 Nailsea Beer and Cider Festival. Nailsea. Details. Interested in booking The Model Folk?